XXS Cotton Drawstring Bags 100x150mm (width x height) XXS cotton drawstring bags .. 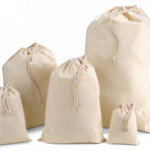 Extra Small Cotton Drawstring Bags 140x200mm (width x height) Extra small cott..
Small Cotton Drawstring Bags 250x300mm (width x height) Small cotton drawstrin..
Cotton Drawstring Bags 300x450mm (width x height) Medium cotton drawstrin..
Large Cotton Drawstring Bags 400x500mm (width x height) Large cotton draw.. Extra Large Cotton Drawstring Bags 500x750mm (width x height) Extra larg..